ANIMAL activist website Aussie Farms might have to be removed or changed after the Coalition Government moved to bring the site under the jurisdiction of the Privacy Act. The website’s owners could also be liable for fines of up to $420,000 under the Act laws, which include fines for the misuse of private information. The Aussie Farms Repository regards itself as “a public repository/gallery for videos, photos, documents and campaign materials (fliers, posters, etc); a knowledgebase; and a centre for innovative and creative tools, relating to the animal rights movement in Australia. 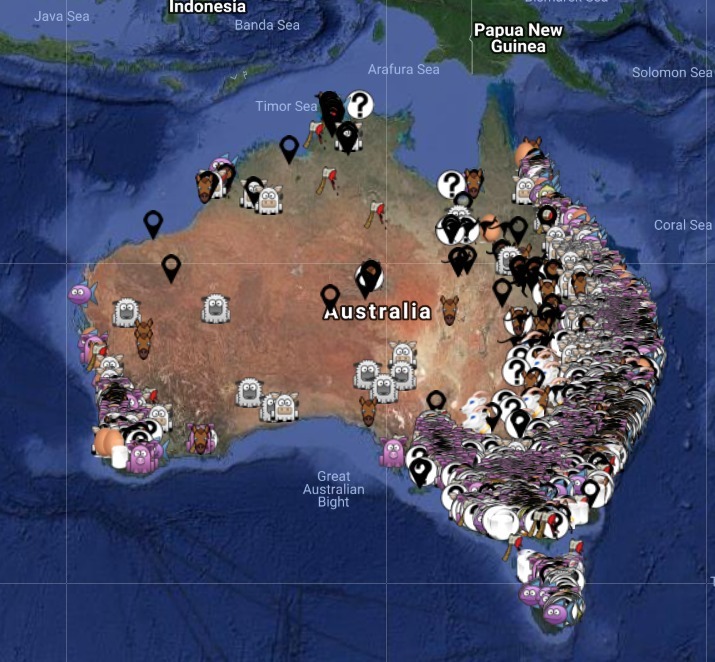 The website lists the addresses of farmers, feedlots and processing plants across Australia and has encouraged activists to gather further information and photographs from the premises listed. The Australian Information and Privacy Commissioner previously found that Aussie Farms Incorporated was exempt from the Privacy Act because its annual turnover was less than $3 million. However, from midnight tonight, the Aussie Farms Incorporated will be prescribed as an organisation under the Privacy Act, which requires Aussie Farms to act in accordance with the Privacy Act, regardless of its annual turnover. The move by the government now allows the Information and Privacy Commissioner to investigate, either in response to a complaint or on her own initiative, if Aussie Farms Incorporated breaches the Privacy Act. The move has been welcomed by the National Farmers Federation, but is not expected to prevent a major animal activist event is set to be staged by a coalition of activist groups across a number of states on Monday. “The company publishes information about Australian farmers and agricultural producers including their names and addresses, exposing them to potential trespass, biosecurity hazards, and reputational damage. “Listing this activist group as an organisation under the Privacy Act, now means that the company will have to abide by the provisions of the Act,” Mr Porter said. “The farming families who grow our food deserve to be able to do so without fear of invasion on their property and harm to their children. “The Aussie Farms website is intended to be an attack map for activists and it is already working as one,” he said. “The fact Aussie Farms refused to take the website down when invasions began happening on farms displayed on their map shows they intend for it to be used as an attack map for activists. Mr Littleproud also called on state governments to beef up trespass laws to provide real penalties for trespass, and to publicly state that they expect the police will uphold these laws. NFF chief executive officer Tony Mahar said the change in Aussie Farms Incorporated’s status comes ahead of apparent, potentially wide-spread, intrusive and dangerous actions of animal extremists on Monday. “Since January we have seen a disturbing increase in farm invasions, including last weekend where 100 extremists converged, uninvited, on a South Queensland feedlot. “Common sense would directly link this to the Aussie Farms map,” he said. Mr Mahar said it is completely unjust that through the publishing of their addresses, farmers and their family’s should be at the mercy of radical extremists, who don’t believe in pets or guide dogs and who are ignorant to how modern farms operate. Mr Mahar said the NFF also called on state governments to tighten their trespass laws and the Australian Charities and Not-for-Profits Commission to strip Aussie Farms Incorporated of its charity status. To prepare farmers for the activist action on Monday, the NFF’s AustralianFarmers website, has published tips to ensure the safety of farmers, their families, and employees when dealing with activist protests and trespassing. Click here to read tips what actions should be taken before, during and after on-farm activist activity. c. Mr Mahar seems to miss the point entirely, that the reason we do what we do is precisely because we are incredibly well-researched and versed in exactly how modern production and slaughter facilities (farms) operate.